Don’t Miss Closing Weekend at Framed Film Festival! If you’re a budding filmmaker or just love films, then make sure you don’t miss Framed Film Festival that’s on right now at the Barbican! For the past week they’ve been showcasing the very best of international films, worskhops and creative learning events, all for children under 12 and teenagers. It closes this weekend, which means there’s still time to get involved! If you want a career in the film, television or video game industry, then you’ll want to go to BAFTA Breaking and Entering on Saturday 23rd November. Some of the leading directors, game developers and designers will be on the panel giving you some fantastic tips! And if you’re looking to watch a film, then that same day you can see Vampire Sisters, a fun comedy all about two sisters who are half vampires so they get the best of both their parents’ worlds – they can fly like vampires, have speed and strength, but they can also walk about in daylight! Then on Sunday, there’s something really special happening. 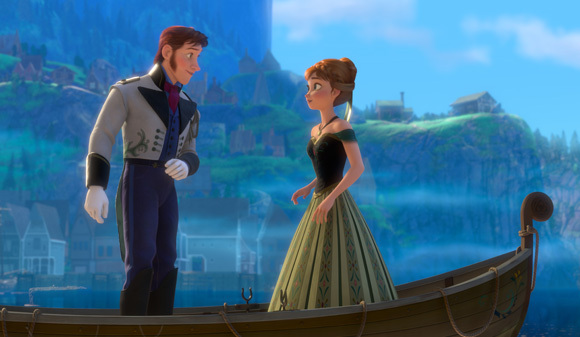 You can go to a super special preview screening of Disney’s brand new animated film Frozen! So make sure you head down to the Barbican this weekend for some festival fun!